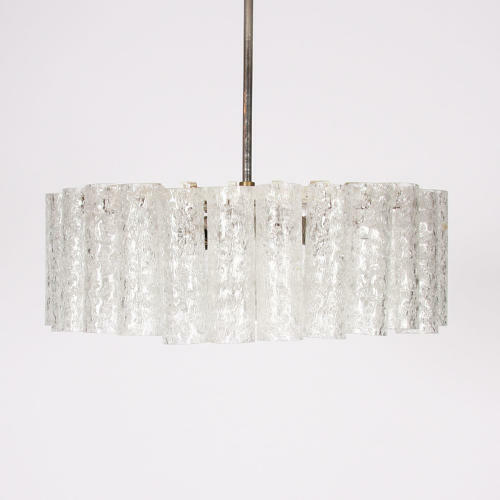 An ice glass and chrome pendant light, produced by Doria Leuchten in the 1960s. The light has 6 flames (E14) and is equipped with 27 tubes of ice glass and a final round glass bottom in the same structure. It emits a great light through the thickness of the glass and timeless design.